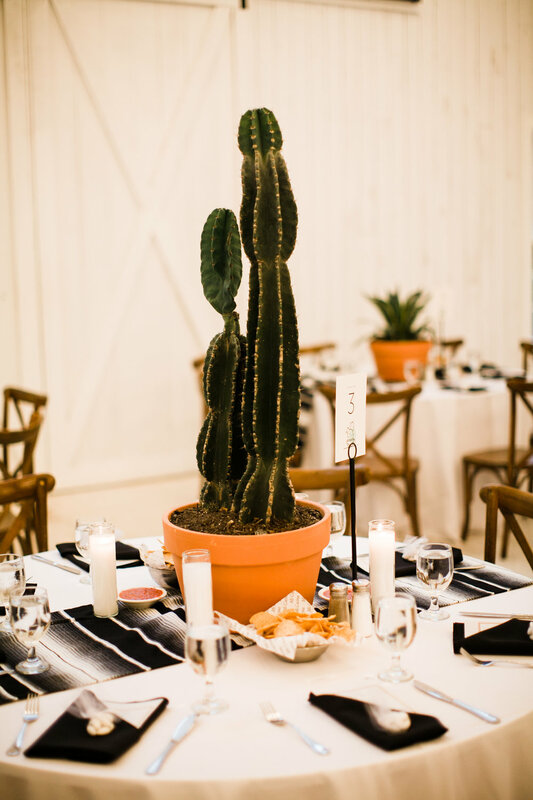 If tex-mex food, cactus centerpieces, and a mariachi band doesn’t sound like a good time then I don’t know what does! Our bride Hailey was an absolute vision in the Vivienne gown by Alexandra Grecco as she and her husband Mark exchanged vows at the White Sparrow Barn in Dallas, TX this Spring. We love the Vivienne for its hand-appliqued and embroidered silk petals and vines, deep-V neckline, subtle sparkle, and the head-to-toe elegance brought to us by the bride herself. Keep scrolling for more photos of Hailey + Mark's beautiful and fun wedding day! Thank you for shopping with us and letting us be a part of your special day Hailey! Book your own appointment to try on the lovely Vivienne gown along with the rest of Alexandra Grecco’s gorgeous collection!